If you suffer from depression, but medications and psychotherapy haven’t worked for you, a simple solution is within reach. At Lonestar Medical in New Braunfels, Texas, Dr. Jay L. Gruhlkey and the medical team offers noninvasive transcranial magnetic stimulation, or TMS, to stimulate brain cells and improve depression without medication and its side effects. Call to learn more about TMS or schedule an appointment online today. "Dr.Gruhlkey is so sweet and understanding. He has the best staff!" "Great staff, low wait times." "I highly recommend this office." TMS, or transcranial magnetic stimulation, is a noninvasive procedure that uses an electromagnet to deliver repetitive magnetic pulses that stimulate nerves in the brain. The pulses generated are similar to magnetic resonance imaging, or MRIs. TMS appears to improve symptoms of depression without medications or other invasive procedures. In fact, many people try TMS if depression medications or psychotherapy haven’t worked for them in the past. What are the benefits of TMS? The biology of TMS and how it works isn’t entirely clear, but magnetic stimulation positively impacts brain function. It’s proven safe and is well-tolerated by patients suffering from depression. What should I expect during TMS treatment? Dr. Gruhlkey completes TMS in-office, and a series of treatments is necessary to achieve optimal results. You might receive treatments five days weekly for up to six weeks. TMS is noninvasive and doesn’t require anesthesia, so you’ll remain awake and alert during the procedure. Your first TMS appointment at Lonestar Medical may last about 60 minutes. Dr. Gruhlkey identifies the best area to place magnets and determines an appropriate magnetic energy dosage prior to treatment. During treatment and at subsequent appointments, Dr. Gruhlkey places magnetic coils against your head. An electromagnet delivers pulsed energy to nerve cells in your brain that control mood, and activates brain regions with low activity. You may feel tapping on your forehead or hear clicking sounds. The procedure is simple and painless and may last about 40 minutes. What happens after TMS sessions? These side effects are temporary and often mild. Taking an over-the-counter pain reliever can help. After a few weeks of TMS treatment, symptoms of depression may improve or go away entirely. If symptoms return over time, your provider might recommend additional TMS sessions or psychotherapy in addition to TMS. If you suffer from depression and psychotherapy or medications haven’t worked for you, call Lonestar Medical to learn more about TMS, or book an appointment online today. 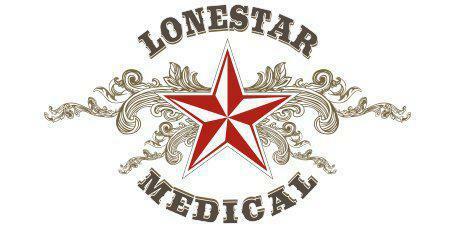 Lonestar Medical accepts most major insurance. If you have any questions about your eligibility or coverage, please call our office. We are happy to help you! "I have been a patient of Dr. Gruhlkey's office in New Braunfels/Gruene, TX for several years. He is an excellent general physician and family doctor." "He is the best doctor I have taken my son to. His staff is always amazing. He takes his time with his patients and makes sure you understand everything he tells you." "The best Family Physician I have ever had. They are always there when I need them, and always attentive to my needs."